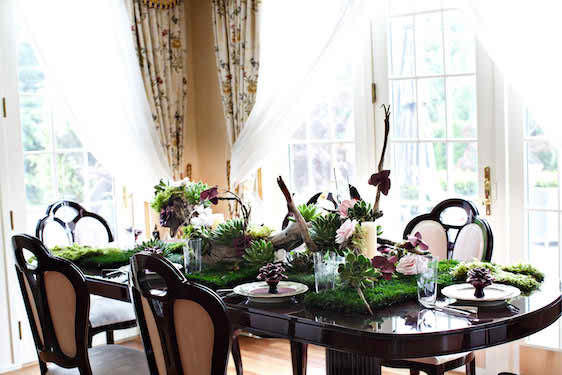 With beautiful captures by Amy Anaiz Photography and floral design by Glen Head Flower Shop, today I'm excited to share this gorgeous tabletop concept — featuring calligraphy by Eliza Gwendalyn! With an array of pretty paper details including stationery by Roxy Lou Design and paper flowers designed by To Hold and to Have, just one look and I think you'll agree that there is so much to love here! Some of the standouts for me include these gorgeous place settings — each with a perfectly placed paper flower, a grassy table runner, and these beautiful succulents! Huge hugs and high fives to all the pros who worked to bring this tabletop design to life! Special shoutout to Eliza Gwendalyn who is a cherished member of our pro guide! Eliza Gwendalyn is a member of our guide. Click here to see how to become a member. No Comment to " Marsala Tabletop Design with Succulents "